As head of Mashreq Bank’s international banking group, Jan-Willem Sudmann thrives on implementing change. Jan-Willem Sudmann, a German banker who joined Dubai-based Mashreq Bank in late 2015, is not a man to shy away from change. With a career in commercial and investment banking spanning almost a quarter of a century, Sudmann has led the international units of banks including Commerzbank and Dresdner Bank, working in diverse markets such as Shanghai, Beijing, Cairo and Beirut, where the banking industry was a far cry from his native Germany. Earlier he headed global relationship management for financial institutions in Asia, Africa, Middle East and Turkey, giving him a well-rounded view of commercial banking across continents. This experience has certainly given Sudmann rich experience to tackle his latest mission – to expand Mashreq’s international business and drive efficiency and best practice in the unit. 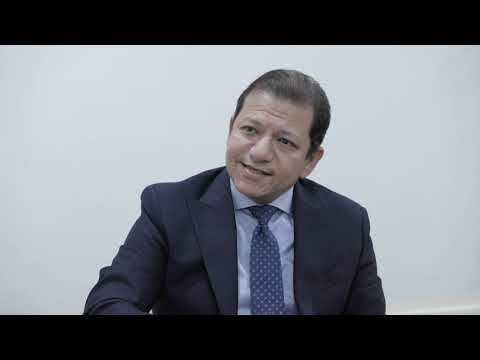 Furthermore, many of the locales Sudmann has previously worked in are markets that Mashreq is keen to expand in, and his nuanced knowledge of these countries is invaluable. Mashreq Bank’s international arm offers corporate and wholesale banking services in the GCC, Egypt and India. It also deals with trade flows between Asia, the Middle East and Africa and offers payments services to corporates. The bank also caters to exporters in the US and Europe who want to tap these markets. While the bank’s international arm was established before Sudmann’s arrival as head of the international banking group, it was smaller and less structured. This was an area where Sudmann was keen to make his mark. He set about standardising processes across the unit to achieve greater efficiencies to increase the unit’s ability to serve international customers – whether UAE corporates operating abroad or international clients in the Gulf. Sudmann spearheaded the implementation of Agile Method, a well-known approach to project management often used in software development, in the front office operations of Mashreq’s international operations. From working around the world, Sudmann has become accustomed to working with different cultures and implementing change. He believes that getting people on-side is one of the most crucial factors in effective change management. “Get people aligned, convinced. Most of the time that’s what it is about – making sure that people are on-board and aligned to what needs to be done,” he says. Another area of change that Sudmann sees in the banking industry is a strong emphasis on digitisation in trade finance as banks and financial institutions seek to completely remove paper from processes that remained, until recently, stuck in the past. “Not too long ago people still needed to fill out a form by hand and bring it physically to the branch to open a letter of credit. At Mashreq, this has been replaced by a template in an online system. The client can put in all the data and send it electronically with the required verification via QR code to the bank,” Sudmann says. The interbank business is also keeping Sudmann and his colleagues on their toes. Like many other areas of banking, this side of the business is experiencing significant change with fintechs developing potentially disruptive software and services. He also cites services such as Apple Pay and WeChat Pay as disruptors that he is watching. But the change manager in Sudmann is quick to see the benefits: “The development and pace there is very impressive. That is a challenge and an opportunity for financial institutions. You need to invest substantially in making the right investments to stay close and relevant to your clients,” he says.